Bachelor of Fine Arts degree from the Rochester Institute of Technology College of Fine and Applied Arts Department of Industrial and Interior Design. Successfully completed the NCIDQ (National Council for Interior Design Qualification) exam in 1992. 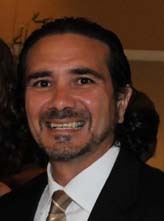 Ed joined DeLaCruz Design Group, Inc., in 1989 as a Project Manager and was promoted in 1991 to Vice President. In 1995 he acquired the firm and became president. Ed's primary position is marketing, managing large accounts and overseeing design. Ed has initiated several of the firm's quality control and design standard systems and is responsible for ongoing training and updating technology for the office.